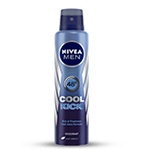 Get a cool kick to start your day with the NIVEA MEN Cool Kick Roll On. It's the perfect combination of instant cooling sensation and long-lasting masculine fragrance. It is also mild on your skin and doesn't hurt your underarms while keeping you fresh all day long! 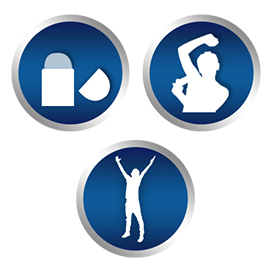 Explore the entire range of Deodorants/Roll-ons available on Nykaa. 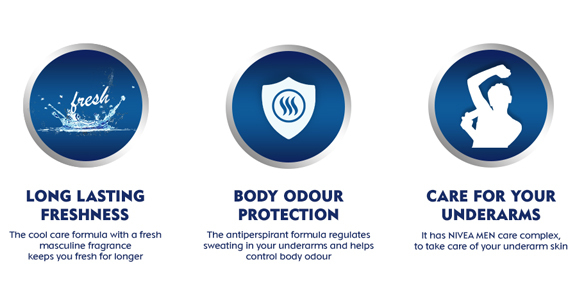 Shop more Nivea products here.You can browse through the complete world of Nivea Deodorants/Roll-ons .Alternatively, you can also find many more products from the Nivea Cool Kick Deodorant Roll On For Men range.